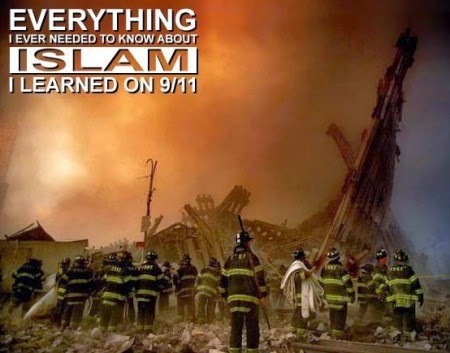 The number one killer of innocents in recent times is Islam. Those that just figured this out after the sixteen killed in France this week are late to the game, and lack perspective. Is it because blaming George W. Bush isn't an option anymore? Help me out, for future reference: How many must be killed to call it "Terrorism?" Or, must we first assess who was killed and which political party is in the White House? Because: if sixteen killed in France over four days is "terrorism," then Chicago suffers the equivalent of a "terrorist" attack 2-3 times in a warm month. The action in France makes for good news coverage. 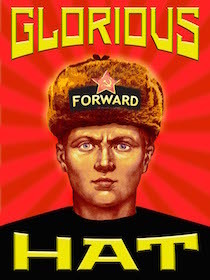 Do the liberal news outlets recognize their role in the bloodshed? 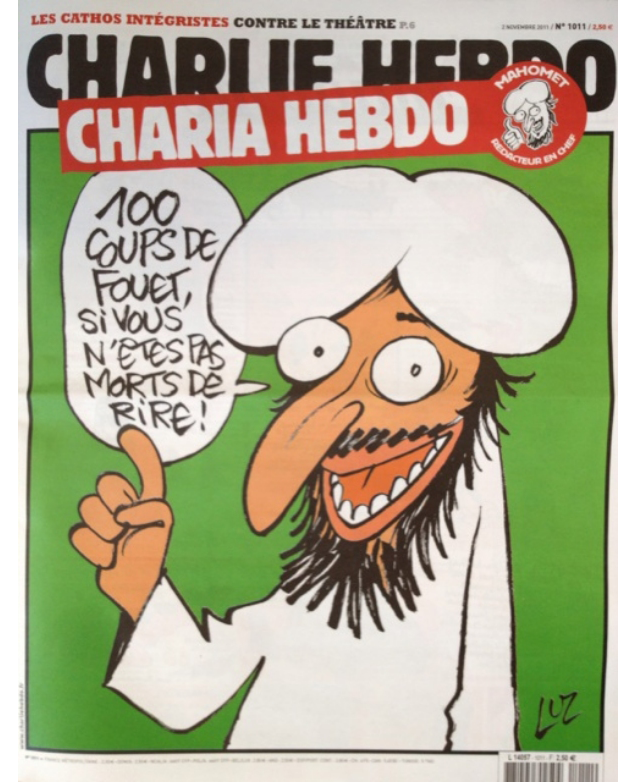 They allow criticism of all but muslims. They selectively report news to downplay criminal acts by muslims. They embolden evil with their one-sided coverage of Israeli-Palestinian conflicts. Example: Did you know muslims burned 940 cars on New Years Eve in France? If so, did you see any judgement or opinion on the matter from any media sources? A suggestion for the old media: Address the proliferation of AK-47's in France. Perhaps the ATF is behind this. Fast, Furious, and Froglegs? The US is the Wild West? 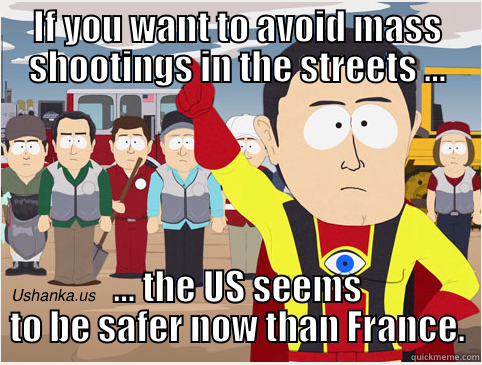 France and their smug European neighbors paint a picture of the US as the wild west. Guns blazing on city streets. Everyday. Yes, we have gun crime. We have 300 million guns in circulation. But the last time in the US where two men engaged police in an epic shootout was in Hollywood, back in February 1997. In France, it was Tuesday. And, could their finger-pointing have less to do with a superior system and more to do with distracting their citizens from their failures? But not any anger over the movie, Four Lions? Four Lions is part comedy, part tragic. An Islam version of Idiocracy. I have not seen any muslim fatwa over this blasphemous movie. Four Lions is a sad look at the retarded world of evil and extremism. The story is prefaced on the rarely spoken fact that Islam is an inbred culture, which has led to a lower average IQ among its people. 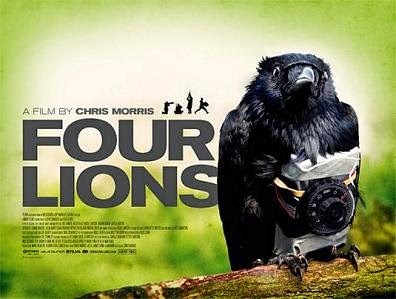 Comrade Zhukov recommended Four Lions to me, and now I recommend it to you. Why did France choose to open their borders to muslims? 200,000 muslims in 2014 alone! Why didn't they open their border to Germans instead again? Maybe entice them with low tax rates for entrepreneurial endeavors. They are smart, hardworking, educated and efficient. And they are next door! How many nationalities have that stereotype? We spent blood and treasure the last two times France was invaded. I say "no more!" This invasion is self-inflicted, and France is on their own for this one. The positive of sixteen dead in France this week is the boost to Europe's anti-islam efforts. Accusations of racism against groups like PEGIDA are falling on more deaf ears now than ever before. Patriotische Europäer gegen die Islamisierung des Abendlandes (PEGIDA, in English: "Patriotic Europeans Against the Islamization of the West") is a German political movement based in Dresden. Since October 2014 it has been organizing public demonstrations, aimed at the German government, against what it considers to be the Islamization of Europe. Some more perspective from Ann Barnhardt. "1,000 lashes, if you don't die of laughter"